In grade school, they had language classes before school. I was a nerd and I wanted to go. My mom really wanted me to take Spanish because she thought it would be more useful than French (she was right..I know that now). Since my nerd friends were all taking French, however, I took French. I think I had 9-10 years of French education by the time I graduated high school. I even went to France with my Grannie when I was in 8th grade…because I knew more French than anyone else she would take. So, lucky me! I excelled at navigating the train and restaurant menus. Conversational French? Not so much. When Mr. Prevention and I went back to Paris a few years ago, I officially knew very little French.None if you ask him. It was really sad and he teased me incessantly the entire trip. I can still identify a good handful of nouns…especially food items, days of the week, months, colors, etc. If you asked me to conjugate a verb, you’d get a blank stare. So I guess, technically, this is a flaugnarde as it is made with blueberries. 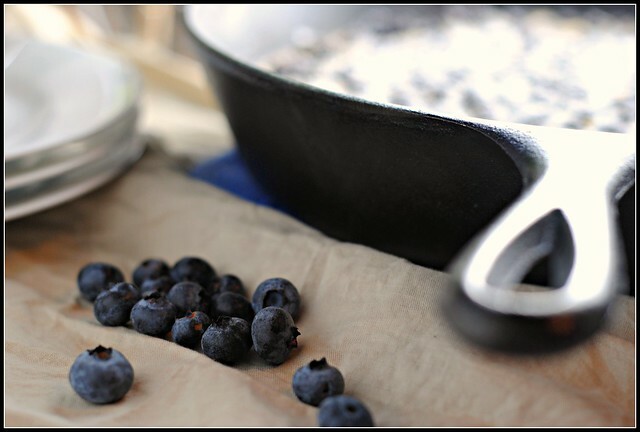 Speaking of blueberries…I had no idea I was moving to the blueberry mecca of the US! Southwest Michigan is serious about their blueberries. I love it. On my 32 minute drive to work, I pass about 5 blueberry farms that I can see from the road. Most of them are open 8am t0 6pm daily which is super…and if I weren’t starving and missing Lily (Mr. P too just a little) after work most days, I’d want to pull over and pick blueberries each and every day. I wear my “cute shoes” and bring my “comfy shoes” each day for a reason, right? Getting stuck at work in heels that are causing pain by 9am can make for a very long day…having a plan B is very wise, I’ve learned after retiring my scrubs and gym shoes! While I want to stop to blueberry pick after work, I haven’t…yet. But we did go over the weekend a few weeks back and my 2 pounds of organic blueberries ran me a whopping $4. 😀 This Chicago born and bred gets a serious kick out of picking her own produce, let me tell you. With all of my beautiful berries, I quickly consulted my recipe archives as to what I should make first. A quick search of “blueberries” yielded 214 results. The first recipe title to catch me eye was this one with its funny name. 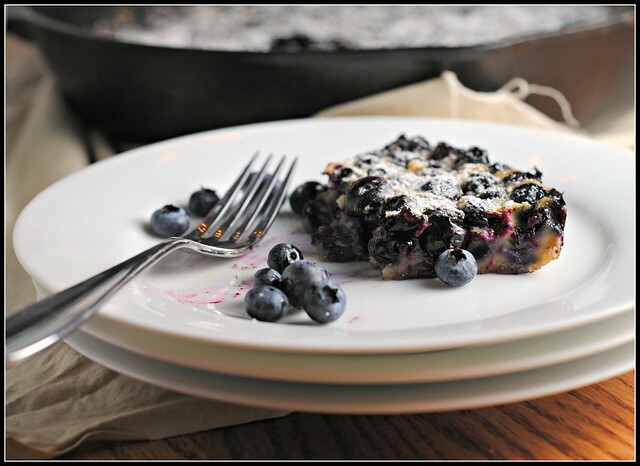 I got to try a new dessert, reacquaint myself with my nonexistent French accent, and whip up this extremely waistline-friendly dessert that is perfect for summer and my picked-with-love, local, organic Michigan blueberries. 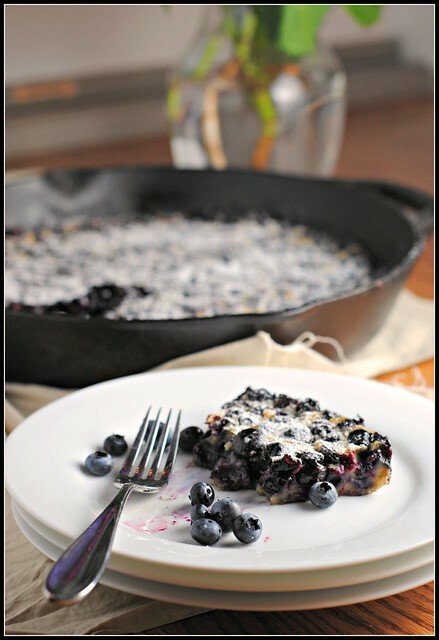 Prepare a 12-inch cast iron skillet by rubbing with1 tablespoon butter and then sprinkling with 2 tablespoons sugar. Set aside. In a medium sized bowl, whisk together the eggs, salt and sugar. Add in the milk, flour, extract and lemon zest and mix well. Place the berries in the bottom of the prepared dish and pour the egg mixture over top. Bake 55-60 minutes. 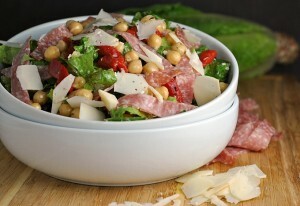 Allow to cool for 5-10 minutes before serving, or serve at room temperature. Result: Perfect for summer! This is a light dessert that comes together in 10 minutes or less and uses summer’s best berries. I love that this is whole wheat, low in calories and sodium, and packed with antioxidants and nutrition. As someone new to clafoutis, I’m a HUGE fan! Enjoy! I can’t believe it’s Thursday already! I get to play hockey tonight with my new team…and hopefully score another goal! (I won’t hold my breath on that one, but at least it’ll be a killer workout). By the way, I took spanish for about 6 year and can barely say “My name is Gina”. IT’s sad too, because whenever anyone sees my last name, they start talking to me in Spanish! How embarrassing. En Canada nous apprenons le francais a l’ecole. J’ai etudie le francais pendant 12 ans mais encore je suis incapable de bien le parler. Alors, j’ai besoin de plus de practique. I’m taking a stab at that…”In Canada we have to learn French in school. I have studied French for 12 years but I can’t speak it anymore. However, I love the additional practice.” (I’m not sure about “incapable” because I remember n…pas?? or something like that as making something negative). How did I do!?!? I said I still can’t speak it well so I need more practice. …my reading/writing in French is much better than my conversation skills. I loved Spanish in high school but I don’t remember much of it now. Have fun with your new team! I love how packed with berries this is! I’ve never made a clafoutis either but would love to try this one. Biz! I work in South Haven!!! This post made me laugh! I think you and I would have been friend in school cause I was also the nerd that took French. All the cool kids took Spanish but I wanted to be different perhaps. Even worse, I was part of the French honor society. Total nerd! haha. But I agree, French didn’t help me out. I could barely remember anything now. Use it or lose it, right? Hi, Nicole! I gotta rescue my blueberries, and the first thing that comes to my mind is to bake 2 dozens of blueberry muffins and now, you just changed my mind. I love this post, and I love the story. Looks like we are both on a lemon and summer fruit combo kick! (I recently made raspberry lemon bars.) This looks so beautiful, and I LOVE how many blueberries it uses! So wonderful. I was so excited to take my first Spanish class! I remember raising hands constantly and repeating everything my Spanish teacher said. The enthusiasm died down within a month and I was soon sleeping in every class. I was always envious of my friends who took that beautiful-sounding French though, but Spanish seemed more practical. That clafoutis is GORGEOUS. I love how the individual blueberry pretty much stays intact. I took French in high school, and every time I return to Paris it magically comes back to me. So funny! Here in Canada French is required until grade 9. I absolutely hated it and so instead of taking French through high school I took Spanish instead(and loved it way more than French, lol). But I’m in the same boat and can’t remember much 🙁 So sad. Your clafoutis(or whatever! 😀 ) looks great! Glad you enjoyed it! I. too, started French in 7th grade and through 2 yrs. in high school. That was a long, long, time ago, However, I remember so much French vocabulary. I can even conjugate a few verbs. 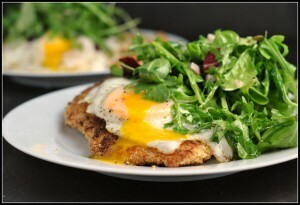 I can’t remember what I had for breakfast, but I remember so much French. I have never been to France, but would love to go. I guess that I’ll have to make a clafoutis, and dream of Paris. 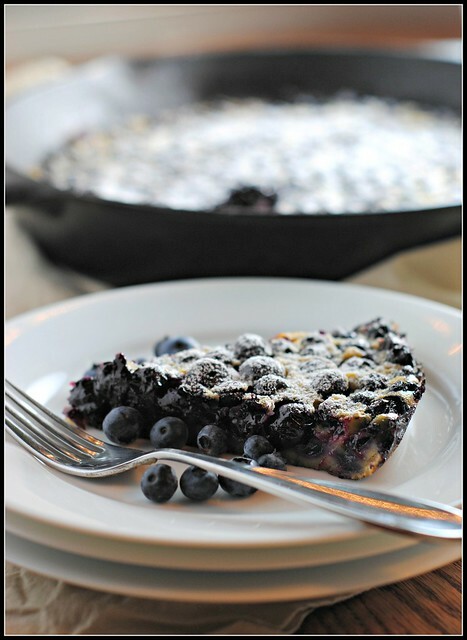 Your clafoutis looks wonderful, and I love the lemon blueberry combo! 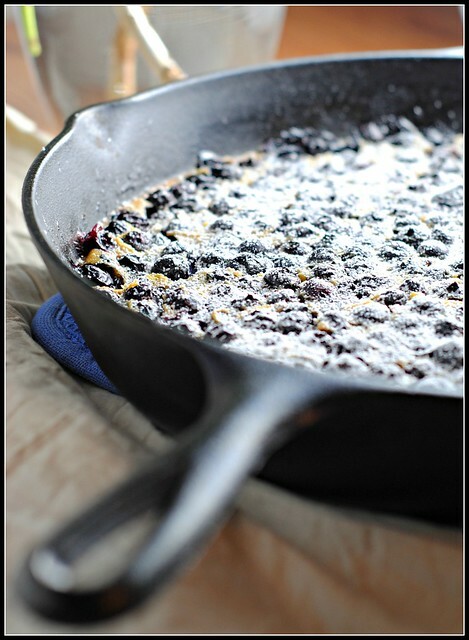 I just found you through “Today’s Top 9.” I’ve been meaning to make my first clafouti all summer! We ate all the cherries before I got around to it……..but I just bought a huge container of blueberries (Costco), so this sounds perfect! I love everything I’ve browsed on your site, and that you are an RD……..but I don’t see a way to subscribe…….help, please…..I love healthy recipe idea, and bake (and cook) all the time. I now live in NJ, but spent my first 30 years in Chicago; love that city! We drove up to Michigan every summer to pick blueberries. I, too, graduated from the U of IL at Urbana (Elementary Ed); we won’t discuss the year! I’d be interested in your professional opinion of the Paleo diet (no plans, just curious). I see it popping up all over the web. Hi Lisa! Love running across U of I grads 🙂 I am a passionate alum – GO ILLINI! 🙂 The RSS feed to subscribe is at the top right – the grey buttons. It’s the middle one. I will add your question to my next RD Q&A if that’s okay…I think others have your same question! Did you ever go to Cupid Candies in Evergreen Park, or Dove Candies in Oak Lawn? Those were the shops where the original Dove ice cream bar was developed! Cupid was on the same block as my dad’s dental office, and had AMAZING hot fudge sundaes! That store has closed, but the one in Oak Lawn is still open; now under the Cupid Candies name, since they sold the rights to the Dove name.